We are renowned Argon gas manufacturer, supplier and exporter in India, both in liquid and compressed forms. Argon is an Inert, tasteless, odorless, colorless, nonflammable and Non Toxic gas present in atmosphere at a concentration of 0.934 % by volume. It has got a boiling point of -185.9°C (-302.6°F). Argon is produced by Cryogenic Distillation/air separation plants which condenses atmospheric air and distills liquid Argon. 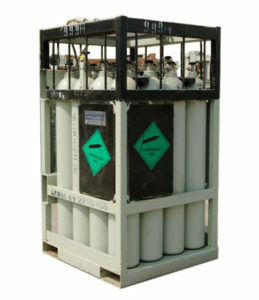 This liquid Argon is collected, store and further converted into gaseous Argon at room temperature and this Argon gas is further stored in various type of Argon gas cylinders to be used in any industrial/lab grade applications. 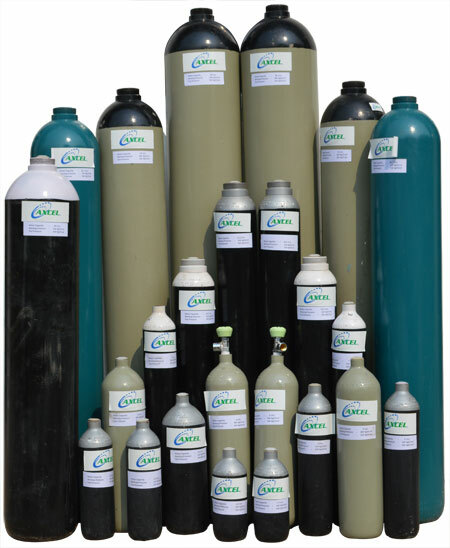 There are various sizes of Argon gas cylinder available which can store Argon gas at different pressures. For some applications where continuous and high quantity of Argon gas is required to be feed, We make use of Argon gas cylinder quad which is nothing but number of cylinder interconnected and having common outlet ’and common inlet. In short, a bunch of many cylinders can be used, loaded / unloaded as single unit. Argon Gas is available in different purity grades and concentrations to meet the specific requirement of diverse industries. We have in house laboratory equipments to check the level of purity as well as various impurities present in it. Due to its non reactive nature to any material in any condition, it finds huge application in TIG welding process to diminish oxidation effect. Some TIG welding processes uses Hydrogen gas mixed with Argon. Argon is also mixed with Carbon Di Oxide for MIG welding application. Apart from this, Argon is also used as a carrier gas in various gas mixing /calibration gases applications. As a shielding or blanketing gas to shield Oxygen reactive materials from air during any process like TIG or MIG Welding. As a filler gas in Bulb / Lighting Industry, to stop oxidation of filament. As a Mixture gas with Neon to stop oxidation of filament in Neon Lights industry. As a fire extinguisher when mixed with Nitrogen gas. This mixture gas is called Argonite gas. As a filler gas in scuba diving suit. As a carrier gas in calibration gas mixture due to its non reactive nature to any material or substance. Liquid Argon is used in removing or destroying of the defective cancer cells in human body through cryosurgery and dermatology techniques. These are some of the common uses of Argon. There are various other ways in which Argon can be used in a particular industry or process.